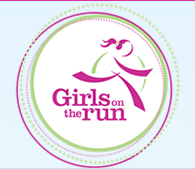 Girls on the Run is a non-profit organization for girls from 3rd grade to 8th grade. GOTR's mission is to "inspire girls to be joyful, healthy and confident using a fun, experience-based curriculum which creatively integrates running." The use of running is to inspire and motivate young girls, encourage lifelong health and fitness, and build confidence through accomplishments. This Girls on the Run 5k marks the end of the girls' training, but also gives those girls who worked towards this race a tangible sense of achievement as well as a framework of setting a goal and accomplishing that goal. The Girls on the Run 5k is scheduled for May 9th, 8:00 am to 10:00am, ﻿at Veteran's Park.